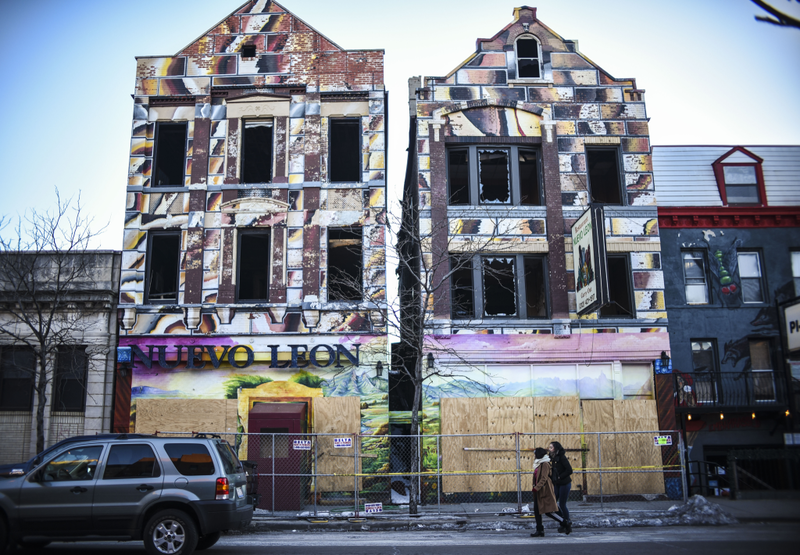 This December, the popular Pilsen eatery Nuevo Leon burned down in a tragic fire. The Gutierrez family and some of the restaurant’s forty employees—including now-jobless cooks and waiters—watched from midnight to until three in the morning as their neighborhood landmark, owned and operated by the family since 1962, fell to ash. As the fire burned, friends and neighbors came to offer their condolences. The Bureau of Alcohol, Tobacco, Firearms, and Explosives (ATF), officers concluded that the fire started in the crawl space between the kitchen and first floor apartments. Faulty electrical wires had ignited an accumulation of dust, pollen, and refuse from fifty-three years of business. 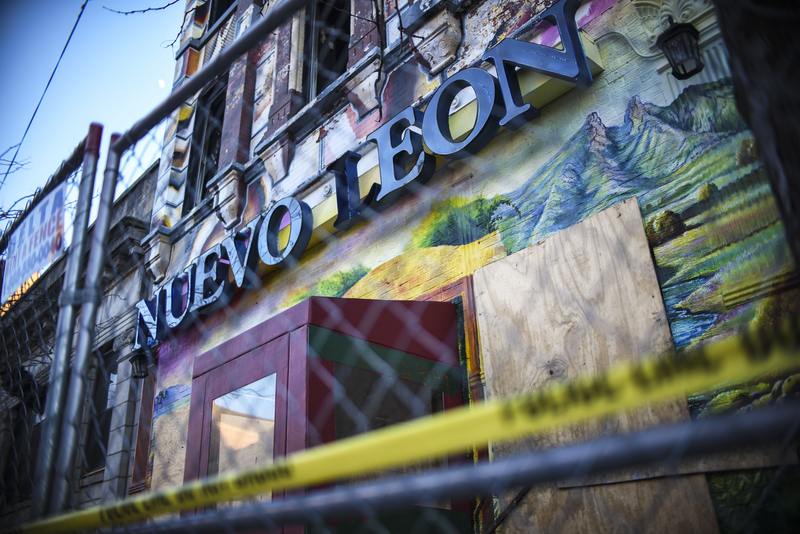 The heat combustion within that space led to the fire that raged for three hours, causing the collapse of the iron beams that held up Nuevo Leon. His grandmother’s recipes are still used today, and numerous customers can trace back generations of patronage. 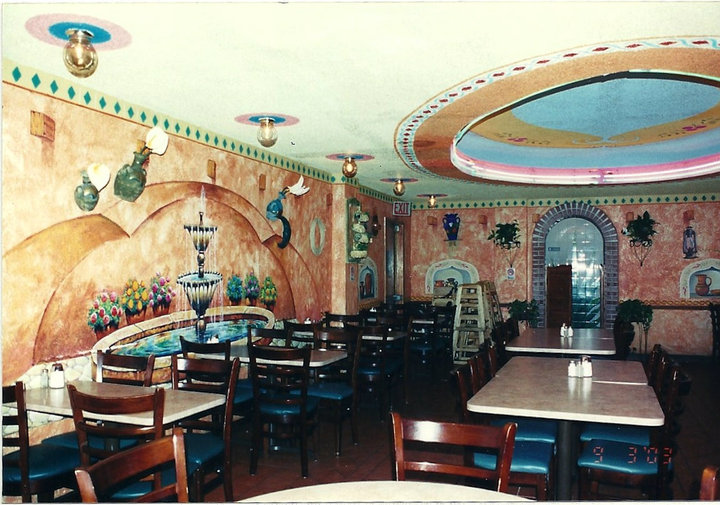 The home-style cooking and workers inside are just as colorful and welcoming as the mural that decorates Nuevo Leon’s façade. 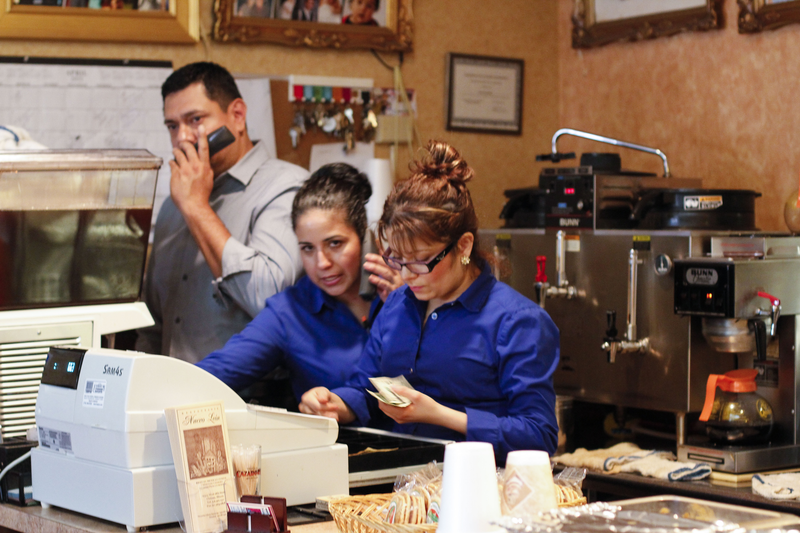 Customers feel comfortably at home—as Valdivia noted, the owners always remembered a face. When the fire began, Gutierrez was inside the building, dozing off in the back office. Waking up to the smell of smoke, he was able to safely leave the building, and receive care from neighbors as the fire raged on. Gutierrez has said he is thankful most of all for his good health and that he is able to be with his family. “Nuevo Leon will be back,” he vows. He doesn’t know exactly what it will look like, or if he can even manage rebuilding the old Pilsen mainstay while supporting his new business and being a father. But he says his family will persevere. Valdivia, too, is hopeful. Mr. Cordova is a family friend of the Gutierrezes who grew up visiting Nuevo Leon. 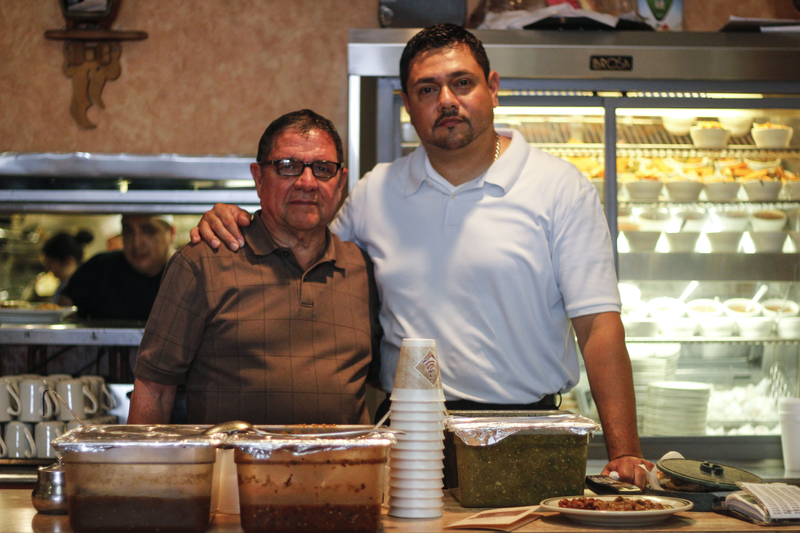 His brother financially assisted the Gutierrez family in the sixties to found the first incarnation of Nuevo Leon, a taqueria on 18th Street. We used to go to church, and then we would go to Nuevo Leon. As soon as you walk in the place, it was so welcoming. I was about eight or nine, when I’d run around with my cousins and family. It was a family atmosphere, and everyone knew everyone. The food was always fresh, I remember, and then we’d all want to go shopping. All the Hispanics would come do their shopping there, on 18th Street, so everyone, a very diverse crowd, used to come to Nuevo Leon, even when I was a kid. Now it’s getting even more popular. It’s been a staple in the neighborhood for forever. One of my brothers, Jarocho, helped finance the place. The Gutierrez family had just been talking about opening a restaurant, and my brother gave them what money he could. 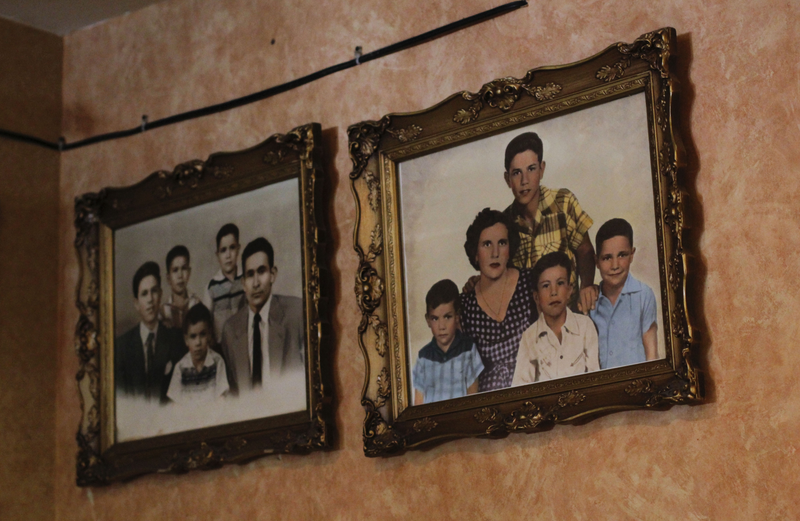 Our families knew each other well, and were known in the neighborhood—it was tradition. Five generations have evolved now. He even said, after he heard the sad news, that if they needed anything he’s still here to help: family is family. Franco has worked at Nuevo Leon for twenty years. I worked for Nuevo Leon for more than twenty years. It was a wonderful experience to work there. I had good experiences, and bad ones, but I only talk about the good ones because I lived a great part of my life there. I started working there on December 13 of 1990. My daughter had just been born, my youngest one, and she was fifteen days old, and I started to work the night shift that was from seven at night to seven in the morning, and I worked very hard. That job was very important for us. For us, Nuevo Leon gave us what we have now: a house, a car, our kids’ studies, and now that this tragedy has happened, many things declined. Most of all, my heart is still raw. What happened really hurt me. Hernandez has worked at Nuevo Leon for twenty-six years. I worked almost twenty-seven years in Nuevo Leon. For me, more than anything, working there was a familial experience. The owners made us feel like we were a part of the family. Mr. Daniel Gutierrez is very humane, he was always with us, supporting us, giving us work when we most needed it. Because actually, when I came, I didn’t have anything. I give thanks that he gave me the opportunity to work with him. 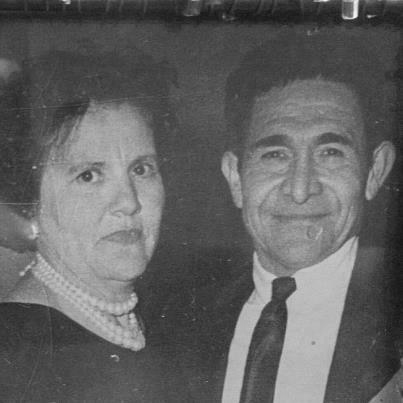 Left: the late Emeterio Gutierrez Landin and his wife, the late Maria Gutierrez. 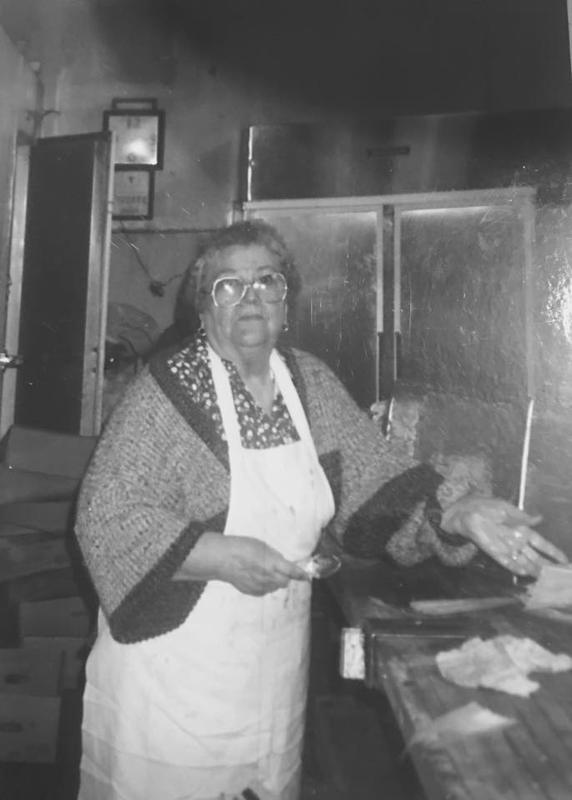 Right: “Grandma Maria,” founder of Nuevo Leon, in 1962. It’s great how everyone is coming together to help The Nuevo León Family. Living here in Pilsen for over 30 plus years and going to Nuevo León with family and friends warms my heart to hear that everyone is doing well and that Nuevo León will be back. My father Rogelio “El Sordo” Obregon was a long time friend of the Gutierrez family. I remember going to Nuevo Leon,Mexico to visit them at their home. I believe the family portrait the hung behind the cash register was taken by my father along with many other picture. They, Danny, Raul, Emetrio have always been generous, kind, good people. Will they rebuild the old location back up? If you do I will visit your restaurant again, I’ll be back. Awesome, I had the pleasure of visiting the restaurant a few times and enjoyed the food. 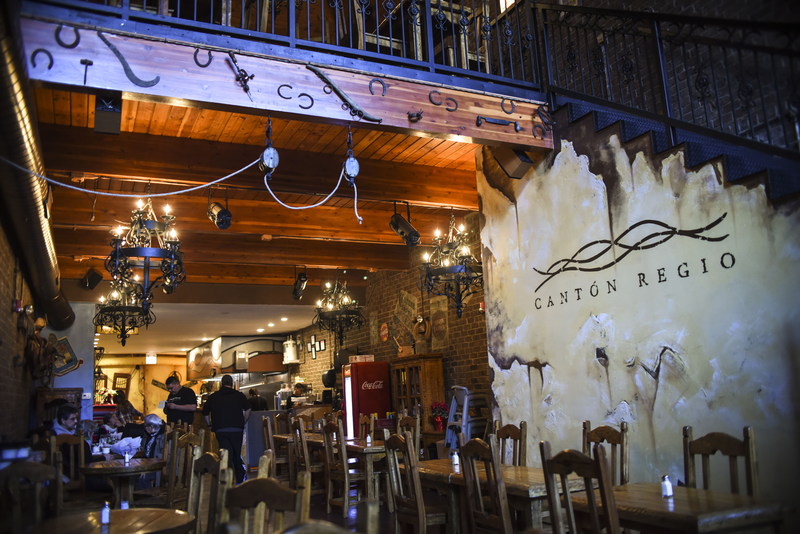 Wishing everyone endless success and looking forward to trying Canton Regio.